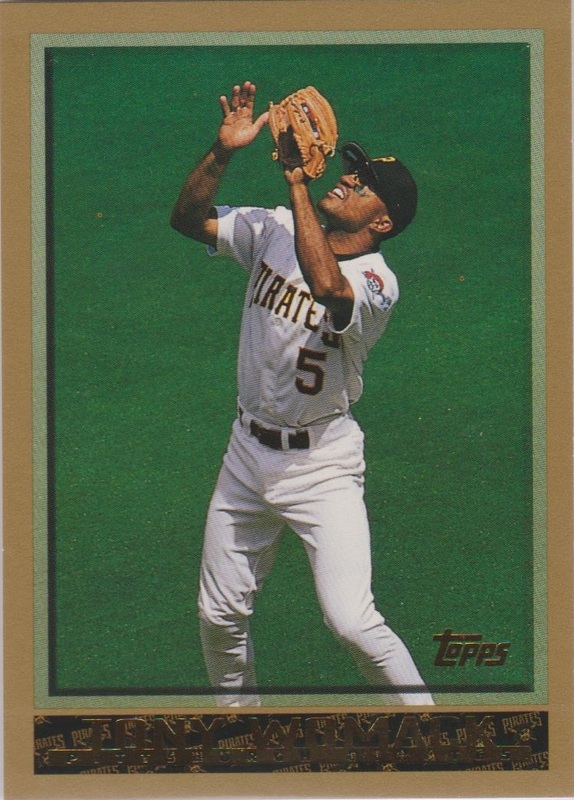 1998 Tony Womack of the Pirates establishes a new major league mark by not grounding out into a double play in 888 consecutive at-bats breaking the record previously established by Dodger outfielder Pete Reiser in 1946. 2011 At approximately 2:30 a.m. ET, the Pirates filed a formal complaint with the Commissioner's Office expressing their extreme disappointment by the way its 19-inning game against the Braves ended earlier this morning. The statement shares the organization's dismay of umpire Jerry Meals not seeing the tag made by Michael McKenry three feet in front of home plate that resulted in Atlanta's 4-3 victory at Turner Field. 1890 Beating Pittsburgh, 4-2, Giants hurler Mickey Welch joins Pud Galvin and Tim Keefe in becoming baseball's third hurler to record his 300th victory. The 31-year old Brooklyn native will win only seven more games before ending his 13-year career next season. 2001 With two outs in the ninth inning at PNC Park, Brian Giles erases a three-run deficit with a walk-off grand slam defeating an astounded Astros squad, 9-8. The Pittsburgh's left-fielder's 'sayonara slam' is hit off Houston's all-star closer, Billy Wagner. 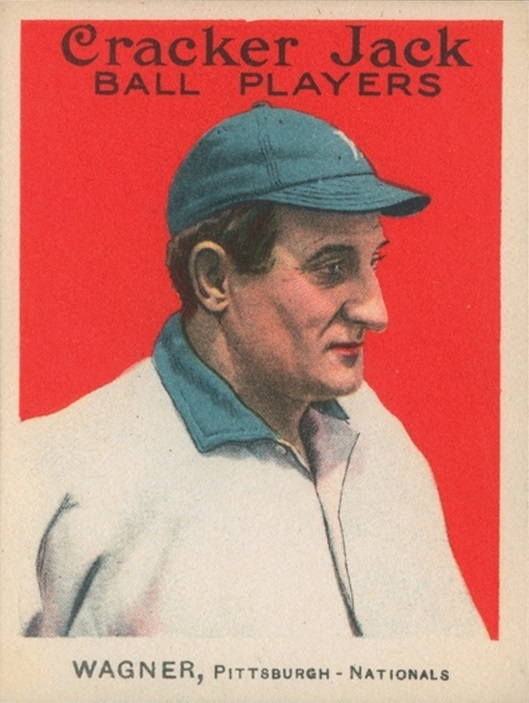 1915 Pirates' third baseman Honus Wagner reaches Robins' (Dodgers) hurler Jeff Pfeffer for a grand slam in the eighth inning helping Pittsburgh beat Brooklyn at Forbes Field, 8-2. The inside-the-park round tripper makes the 41-year old infielder the oldest player ever to hit a home run with the bases full, a record which will last until 1985. 2009 The Pirates spend a busy day on the trading block sending 2006 batting champ Freddy Sanchez to the Giants for 20-year-old former first-round draft pick Tim Alderson, a right-hander with excellent control. The Bucs also deal shortstop Jack Wilson and pitcher Ian Snell to the Mariners for shortstop Ronny Cedeno and four minor leaguers, including triple-A catcher-first baseman Jeff Clement. 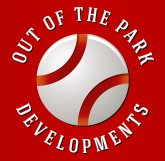 2004 In separate deals with the Pirates and Devil Rays, the Mets gamble with their future giving up top prospects to acquire major league pitchers who can immediately step into the rotation. Free agent eligible Kris Benson and infielder Jeff Keppinger are obtained from the Pirates for infielder Ty Wigginton, pitcher Matt Peterson and infielder Jose Bautista. 2011 The Orioles trade Derrek Lee to the Pirates in exchange for minor-leaguer Aaron Baker, who will be assigned to Class A Frederick. The Bucs hope their new good-fielding first baseman can provide some pop to the lineup as the team tries to stay in contention in the competitive NL Central Division race. 1971 In a game that sees at least one team score in every inning until the ninth, the Giants beat Pittsburgh at Candlestick Park, 15-11. San Francisco's rookie first baseman Dave Kingman's seventh-inning grand slam proves to be the difference. 2008 In a three-team swap, the much anticipated departure of Manny Ramirez from Beantown is finally accomplished with the unhappy outfielder being traded to the Dodgers. Former Pirates player Jason Bay will now roam left field for the Red Sox, with Pittsburgh receiving outfielder Brandon Moss and pitcher Craig Hansen from Boston as well as getting third baseman Andy LaRoche and right-hander Bryan Morris from Los Angeles to complete the last-minute trading deadline deal. 1918 Pittsburgh Pirates beat the Boston Braves, 2-0, in 21 innings. 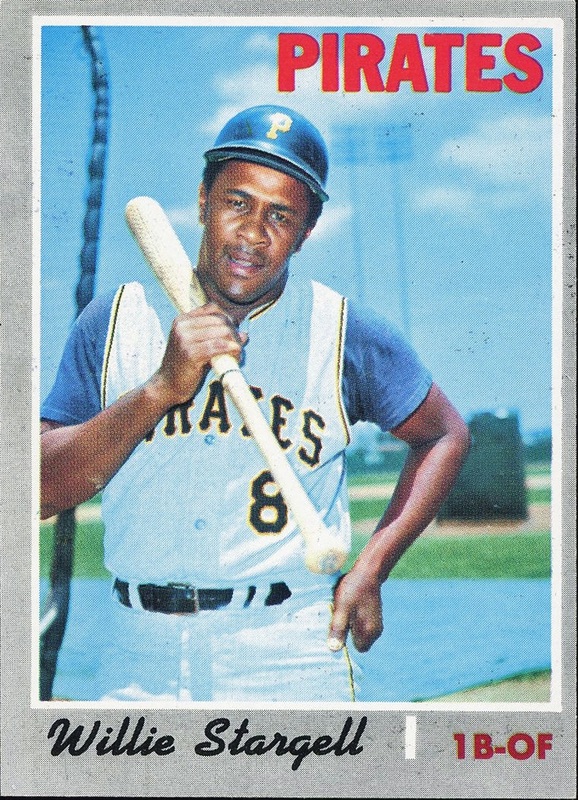 1970 At Atlanta-Fulton County Stadium, Pittsburgh left fielder Willie Stargell accumulates 14 total bases with three doubles and two home runs. The outfielder's five extra-base hits power the Pirates past the Braves, 20-10.